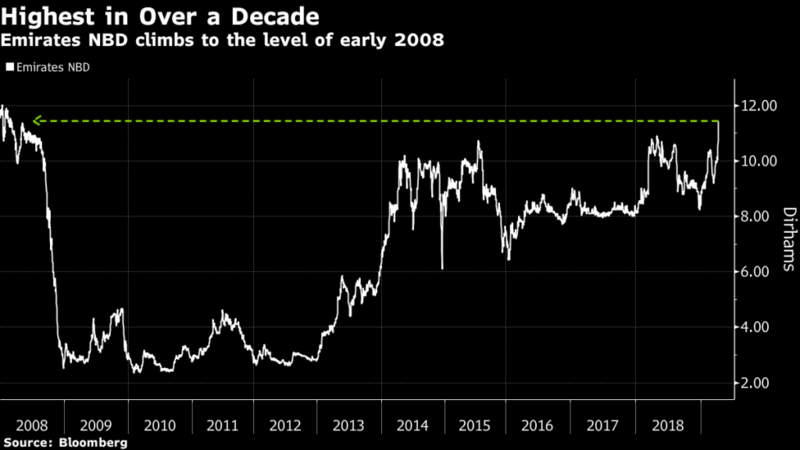 (Bloomberg) — Dubai’s biggest bank may save as much as $700 million in a deal to buy Turkey’s Denizbank AS after the lira slumped and economic growth stalled since the agreement was announced 10 months ago. Emirates NBD will pay 15.48 billion lira ($2.75 billion) for Sberbank’s wholly-owned Turkish unit, according to a statement. That compares with $3.45 billion if accrued interest, as required under the initial agreement, was added to the transaction, implying a potential saving of about $700 million, said Jaap Meijer, the head of research at Arqaam Capital Ltd. The revised price is at 0.9 times book value, slightly lower than the 1.05 to 1.06 times book value in the original deal, Meijer said. Emirates NBD shares surged. 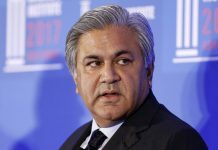 The United Arab Emirates’ second-biggest bank is taking the reins at Istanbul-based Denizbank as President Recep Tayyip Erdogan leans on lenders to lower interest rates and reverse a decline in credit to pull the Middle East’s biggest economy out of its first recession in a decade. It also comes as financial institutions face a rising pile of bad debt and restructuring demands from companies struggling to repay loans denominated in foreign currencies. The transaction is both Turkey’s largest M&A deal since 2012 and the Dubai bank’s biggest acquisition. The deal is expected to close in the second quarter. Emirates NBD jumped as much as 9.3 percent in Dubai to trade at the highest level since February 2008. The shares closed up 6.1 percent in Dubai, extending gains this year to 28 percent. That compares with a 9.1 percent advance for Dubai’s benchmark index. The shares have also been buoyed by the bank receiving approval to raise the foreign ownership limit to 20 percent from 5 percent in March 2018. 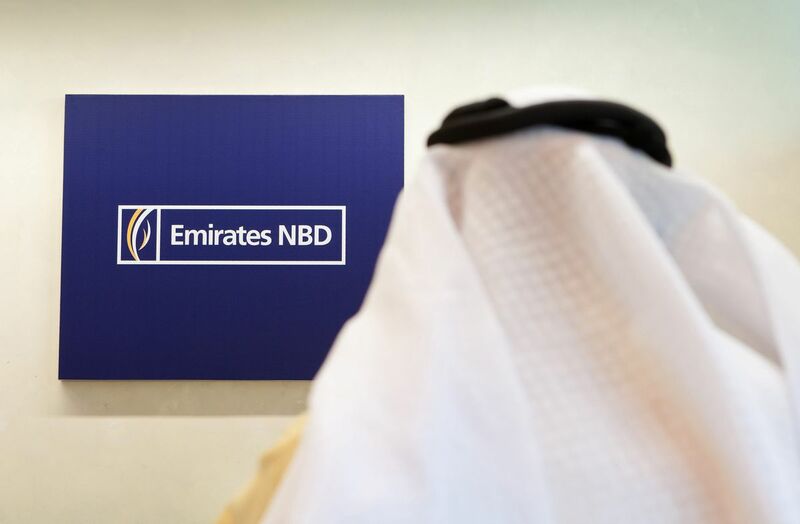 In addition, Emirates NBD got the green light to increase share capital by as much as 7.35 billion dirhams ($2 billion) through a rights offering at a discount. 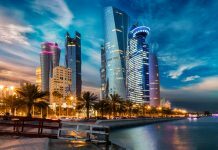 “Executing this deal will open up the way for a lower-than-expected rights-issue price and ultimately increasing the foreign ownership limit in the bank,” said Ali El Adou, the head of asset management at Daman Investments in Dubai. The lira lost 17 percent against the dollar since the deal was signed, hitting a record low in August, amid tensions with the U.S. and increasing signs the economy was fraying. The currency’s crash has fueled inflation of almost 20 percent that is cutting into disposable income. The deteriorating climate is likely to undermine banks’ asset quality, raising the risk that the public sector will be called on to support parts of the domestic corporate and banking system, S&P Global Ratings said last month. Gulf-based lenders are attracted to Turkey with its young and under-banked population of more than 80 million people — dynamics they can’t find domestically, where expansion opportunities are limited. Qatar National Bank bought National Bank of Greece SA’s Turkish unit in 2016, paying slightly less than book value. Commercial Bank of Qatar took full ownership of Alternatifbank the same year. The price adjustment now “demonstrates better M&A discipline’’ and values Denizbank at a 20 percent premium to Turkish peers, which is fair, Arqaam’s Meijer said. “Even though the deal will destroy some shareholders’ value, reflecting Emirates NBD’s desire to enter a new market rather than showing M&A discipline, the unlocking of value through the foreign ownership limit should be a multiple of that,” he wrote in an earlier note. Denizbank surged as much as 13 percent in Istanbul, although only 0.15 percent of the shares are available for trading. Denizbank is Turkey’s ninth-largest bank by assets as of the end of September, according to banking association data. Sberbank gained as much as 2.7 percent.